The US Centers for Disease Control has confirmed that a South Carolina swimmer has been infected with Naegleria fowleri, a warm-water dwelling amoeba that can cause a life-threatening brain infection. Exposure to the amoeba is thought to have occurred on July 24 when the unnamed individual was swimming near Martin’s Landing on the Edisto River in Charleston County. A drug used to treat patients infected with Naegleria fowleri was couriered overnight Tuesday from Orlando, Florida, to Charleston. N. fowleri is a free-living microscopic amoeba that occurs naturally and is present in many warm-water lakes, rivers, and streams. Infections are exceptionally rare in humans, with only 40 cases reported in the United States in the past decade. The last reported death in the US occurred in July 2015 when a 21-year-old California woman died from an infection. As the climate warms, however, there’s a growing fear that infections are set to increase; last year, the dreaded ameoba was detected in Minnesota, further north than its usual habitat. 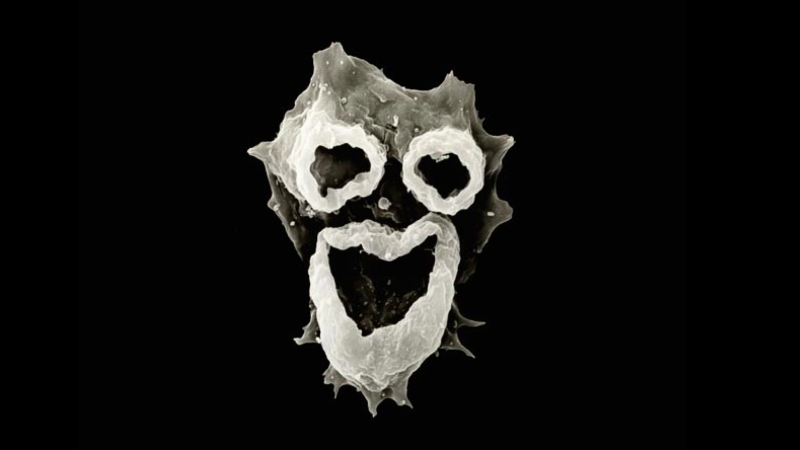 This amoeba normally feeds on bacteria, but if it enters into humans, it uses the brain as a food source. The resulting infection is called naegleriasis, or primary amoebic meningoencephalitis (PAM). Symptoms appear after about a week, and include headache, fever, nausea, or vomiting. Eventually, as the infection spreads in the brain, symptoms include stiff neck, confusion, lack of attention, loss of balance, seizures, and hallucinations. Death typically follows. Doctors treating the South Carolina patient are using the antimicrobial drug miltefosine, which has been used successfully in some cases of PAM. As WYFF reports, families who have lost children to the amoeba are demanding that hospitals keep the experimental medication on hand, which is manufactured by the drug company Profunda. First, you must be swimming in water in which the amoeba is present. Second, you must jump into the amoeba-containing water feet first, allowing the water to go up your nose with enough force that the amoeba can make its way to the brain. Most commonly, exposure results in the amoeba dying before causing infection. You should avoid swimming or jumping into bodies of fresh water when the water is warm and the water levels are low. Also, you should either hold your nose or use a nose plug. You cannot be infected by merely drinking water containing the amoeba. It’s important to note that a person infected with the amoeba cannot spread it to another person. Also, salt water, like the ocean, doesn’t host N. fowleri.